GB: The announcement of a Dungeon Lords Collector's Edition caught a lot of fans by surprise. Is this something you've wanted to do since the game's original release? D.W. Bradley: Yes, the Collector's Edition represents my original design and intentions for the game, and I want to thank DreamCatcher for giving me a chance to do it! GB: What exactly are "character customizations"? What options are available during character creation that were not available in the original version? D.W. Bradley: The Human, Elf, and Dwarf races now have options for choosing skin color, hair style, and hair color, the Demigoth Races, Wylvan, Urgoth, Zaur, and Thrall can choose fur color, and any character can choose to be either left-handed or right-handed. GB: How much is the Collector's Edition retailing for? Also, do you plan on releasing the extra content in a free patch or possibly even as a mini-expansion that owners of the original version can purchase at a lesser price? Robert: The Collector's Edition is at $39.99. We are currently looking into options down the road for users that would like to play the Collector's Edition. However, most of the core issues surrounding the game lacking features have been addressed as free content and updates even beyond the original design. Obviously it would be ideal for existing owners to be able to upgrade in some fashion though. GB: Aside from the software updates and limited edition case, will we see anything else included in the Collector's Edition? For example, will we see any changes to the manual or map? D.W. Bradley: The manual has been updated to include information on new features included since the original release, and makes some helpful corrections and clarifications. Although the map is unchanged, there are many new elements in the wilderness not present in the original edition. GB: The original version of Dungeon Lords shipped with several major bugs, including broken spells, missing character customization options, and various multiplayer issues. With the release of the Collector's Edition, do you feel that these problems have been addressed? D.W. Bradley: I certainly hope so! We combed the web and tech support reports for any problems, issues and suggestions from gamers, and tried to make certain that everything of significance was addressed. Multiplayer and character customization were major items, so we spent quite a bit of time working on these in addition to other improvements. But there are many other things we've added or changed in the Collector's Edition to make the game an even more rewarding and enjoyable experience for the player - new monsters, new scenes that were a bit barren in the original edition have been completely revised and filled with new content, the towns and shops have been overhauled and stocked, there are new npc characters and quests, new rare and special items, a special new class, and a number of other surprises. 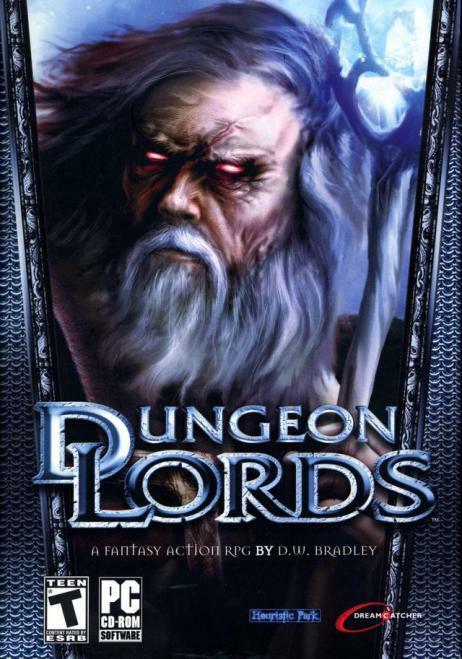 GB: Do you have any plans for Dungeon Lords beyond the Collector's Edition? Any chance we might see an expansion pack or even a sequel? D.W. Bradley: I have the storyline for the next adventure already planned, if that's what you're asking, so it's certainly in the realm of possibility. GB: What's up next for Heuristic Park? Might we see another RPG created by D.W. Bradley sometime in the future? D.W. Bradley: In addition to Dungeon Lords, there is another new game design that I'm working on - both have RPG under their skin although the latter offers some really unusual and out-of-this-world departures - makes me excited just thinking about getting started! We'd like to issue our thanks to David and Steven for taking the time to address our questions!